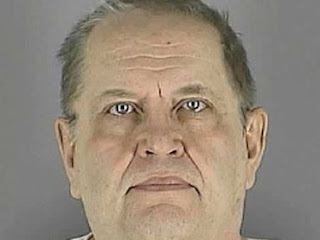 Minnesota: A 58-year-old man accused of sexually abusing a female relative for nearly a decade after she was placed in his care believes the Bible gave him the right to make the girl his "wife" when she was 10 years old, police said Monday. James Wallace Fall, of Mound, "married" the girl during a family trip to Yellowstone National Park in 2000, after she and her two brothers went to live with Fall and his wife, Rosemary Fall, according to police. The children's father had died, and their mother was deemed unfit to care for them, police said. He told the girl it was God's will for them to be together and eventually shared a bed with her every other night until she moved out of the house, police said. James Fall is charged with eight felony counts of criminal sexual conduct and is jailed on $1 million bail. He is due in court later this month.